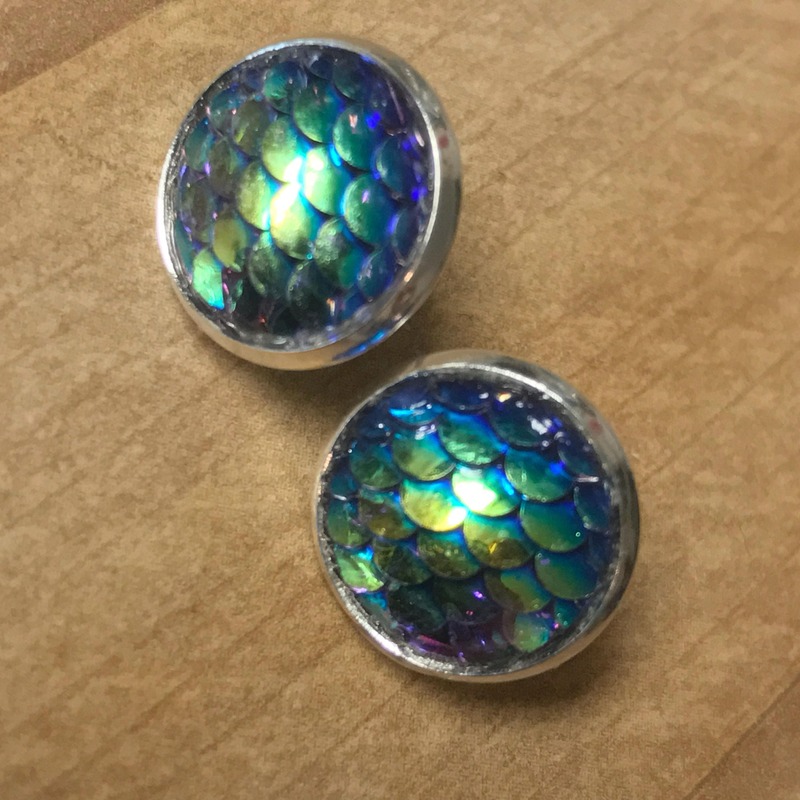 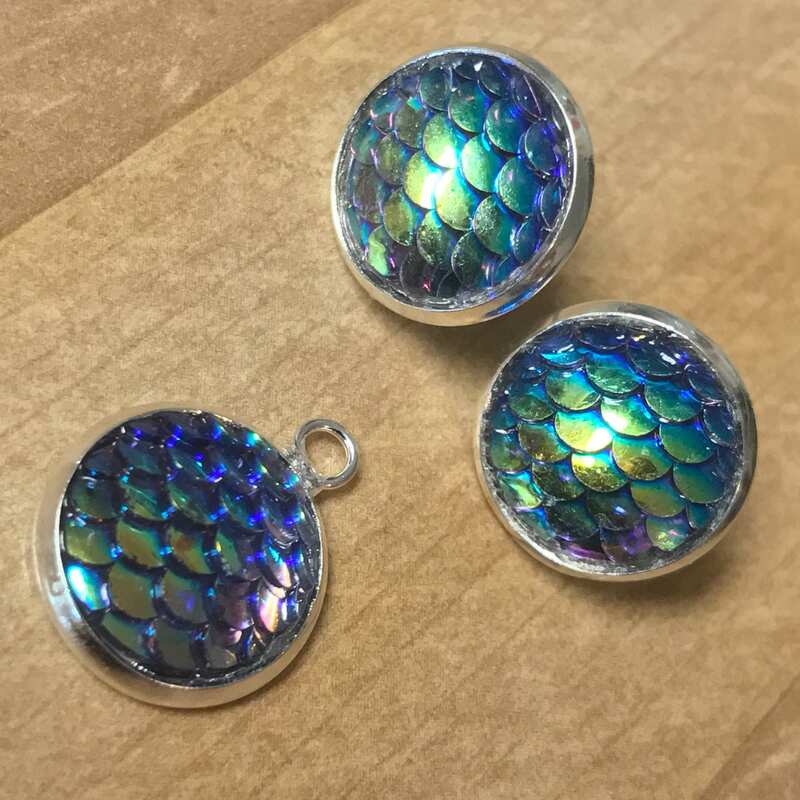 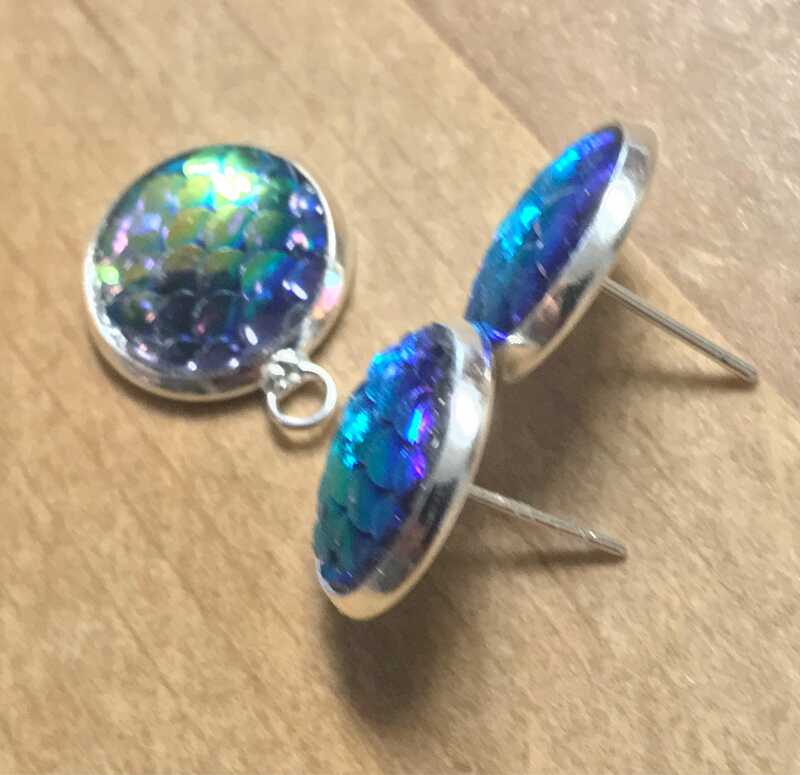 Earrings are made with a sterling silver plated earring bezel with with a plastic 12mm round shimmery sequins cabochon that looks like mermaid scale. 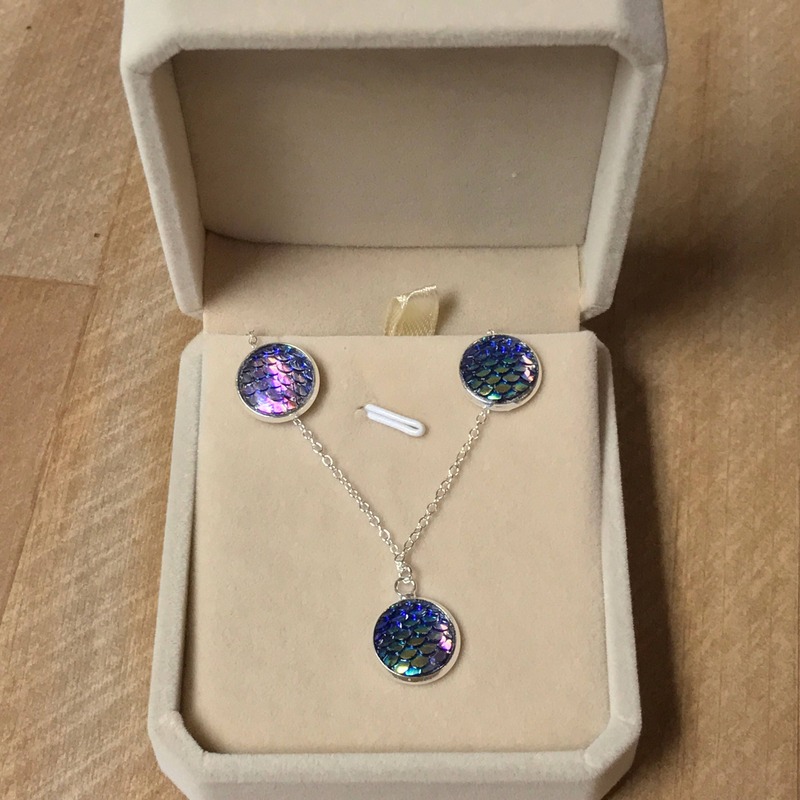 Necklace is made with a silver bezel with the same charm on an 18" sterling silver plated dainty chain. 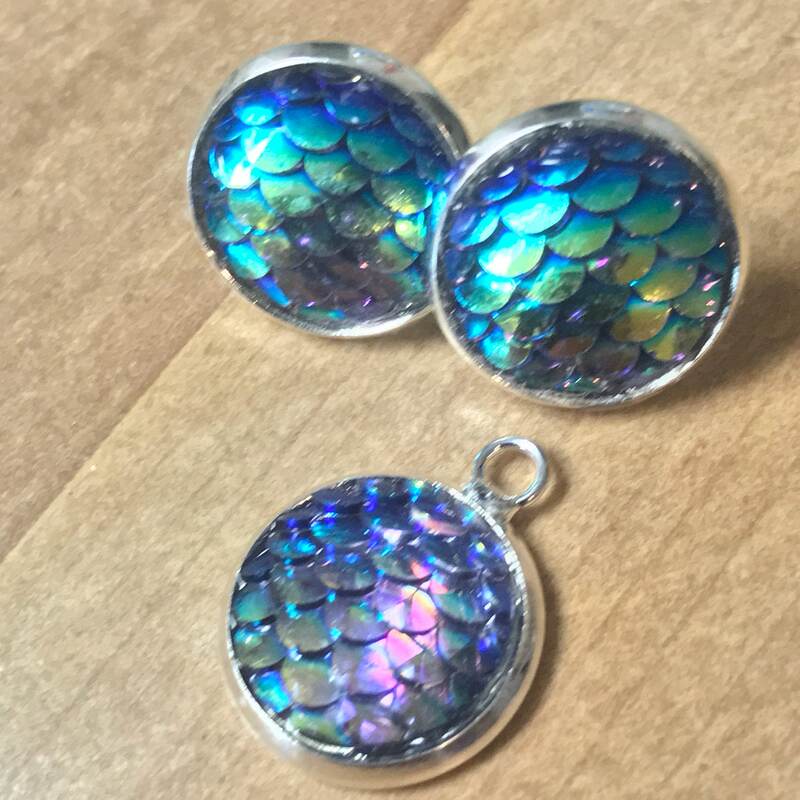 See my other listings for unicorns and more mermaids. 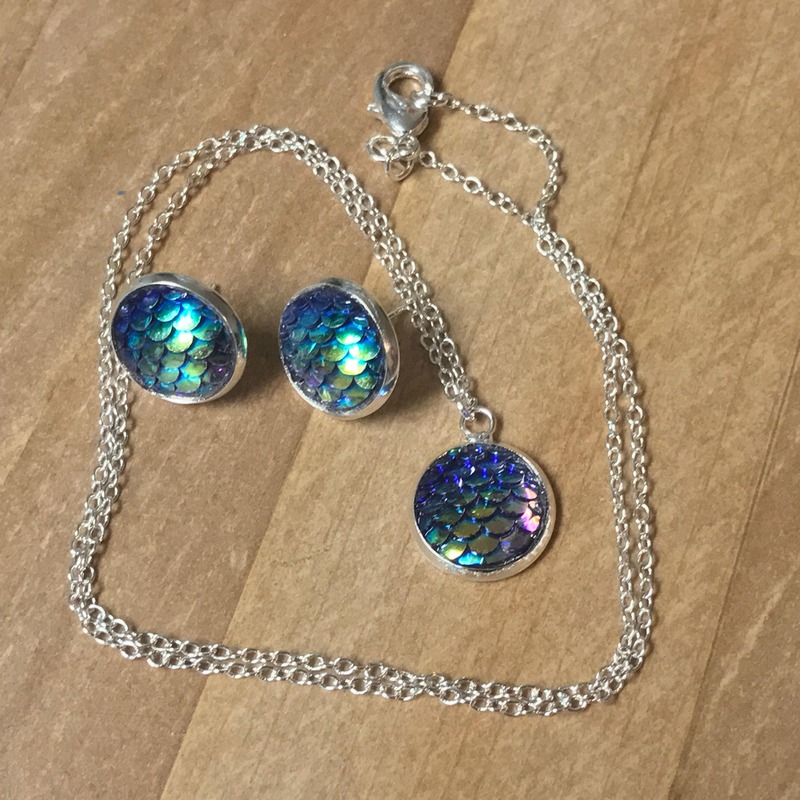 I can custom make anything you see on my site in different variations. 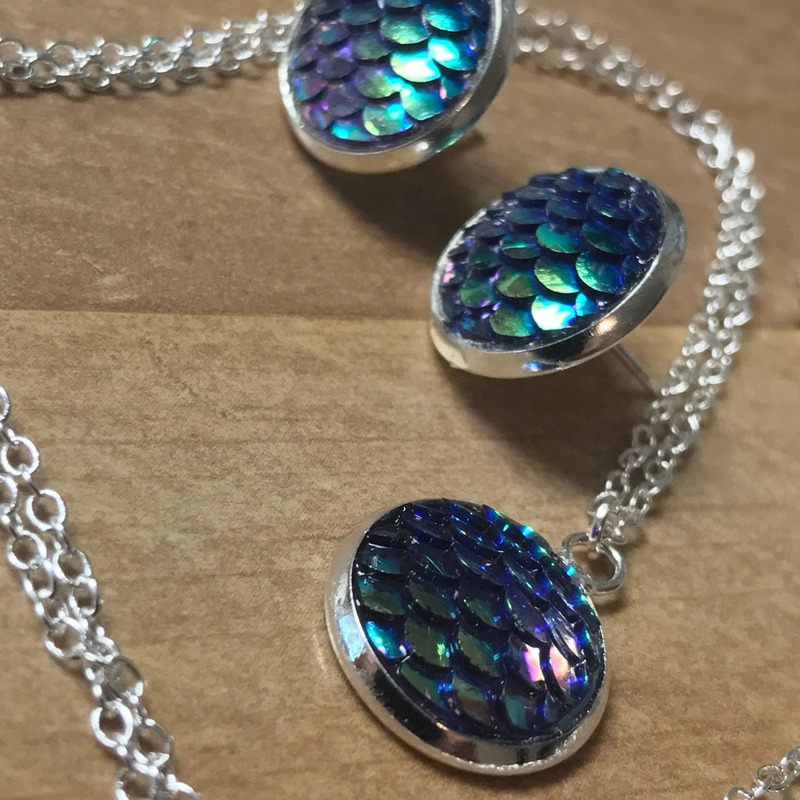 No mermaids were harmed in the making of these items ♥️.